Whether it’s an existing identity needing an update or a new company starting from scratch, Corner House will supply you with creative and innovative solutions. With excellent existing examples we can help guide you through the hundreds of varieties of brochure and create a bespoke attention grabbing end product. Corner House’s forte is producing a catalogue from scratch! From design and layout, through to image management and text application, Corner House can successfully and confidently complete the whole job. An essential building block for a company is their branded stationery and promotional leaflets, all bespoke to the client and tailored to their brief. Print or digital, Corner House can create a stunning bespoke template and update each month. We will always advise on the most efficient production method. With over 15 years of producing and managing bespoke promotions, you can trust the team to hit deadlines and budget. Is it a shop frontage you require or are you attending an exhibition? We can help you to stand out from the crowd, supported by a wealth of experience gained over the years. For your big day, let us help you create a one off design personal to you. Using your treasured items, images and memories the possibilities are endless! Do you visit a lot of customers and wish to leave a reminder of your call? 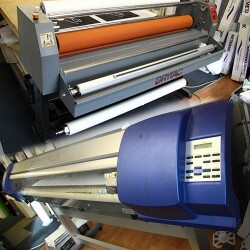 Corner House can design and print innovative products to get your company noticed! A selection of our services - Call 0161 777 6000 for more information. Large quantity, high quality and fantastic value for money! Litho print will give you an outstanding product and with many different papers and finishes available the world is your oyster! The availability of die cutting will allow your print to stand out from the crowd. Whether you are producing banners, signage or exhibition graphics, Corner House can deliver on time and to a superb quality. 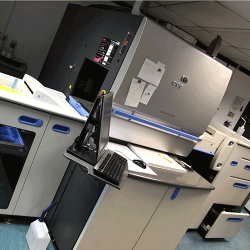 We can produce a wide variety of large format print, so please get in touch and speak to one of our team about your requirements. Small quantity, personalised or a fast turn around? 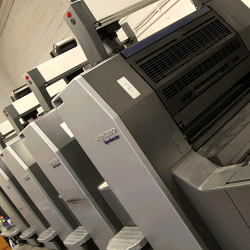 If you require your print work fast and still produced to a high quality then digital is the print format for you. It would be hard for the normal eye to tell the difference between litho and digital but when pushed to your deadline, digital will produce a high quality job and on time. Looking for something a bit different? 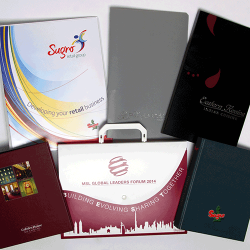 Do you require binders with your company branding, or A-boards to stand outside your company’s premises, even promotional items to send out to potential clients? Corner House can handle the whole process from start to finish! Have a clipping path added to your image to remove the background for greater versatility. Alternatively, enhance your product by having it shot on a specific background to stand out from the rest! With the ability to travel to a location to shoot on-set, Corner House can help bring your ideas to life!